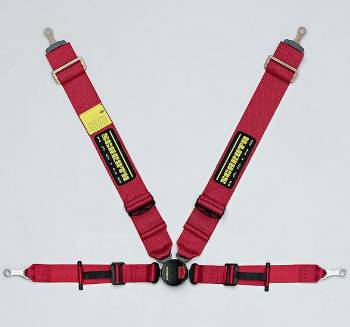 You can add a single or dual sub strap to make this belt into a 5 point or 6 point at any time. The only thing you cannot do with this belt is use a HANS device. The HANS device and the ASM do not work together. The Shoulders come ready to be wrapped around a roll-bar. Snap or Bolt attachments can be purchased separately. Because of the ASM, these belts are sided. Be sure to install them correctly: the ASM fold should be on the Inboard shoulder belt.